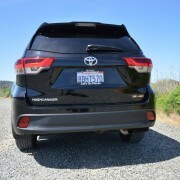 Not very long ago, it would have been unthinkable for a 4,570 pound SUV powered by a gas hungry 295hp V6 to return 22MPG in overall driving. 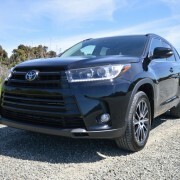 But when Toyota performed a substantial makeover of their best selling Highlander for 2017, one of the many improvements they made was substitution of an 8 gear “Direct Shift” automatic transmission for the previous model’s 6 speed gearbox. 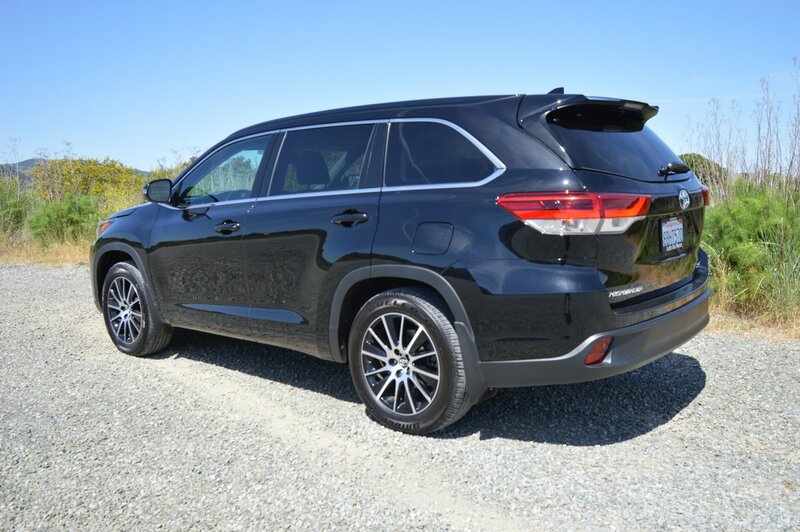 The new 8 speed automatic adds two overdrive gears which reduce engine rpm at freeway cruising speed, thus improving mileage from the outgoing model’s 18MPG City/24MPG Highway to the 2018 Highlander’s 20MPG City/26MPG Highway. 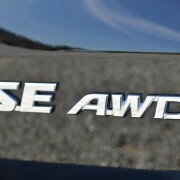 Surprisingly, this welcome fuel economy improvement comes in addition to an increase in horsepower for the new 3.5 liter D-4S V6 from 270hp to 295hp. 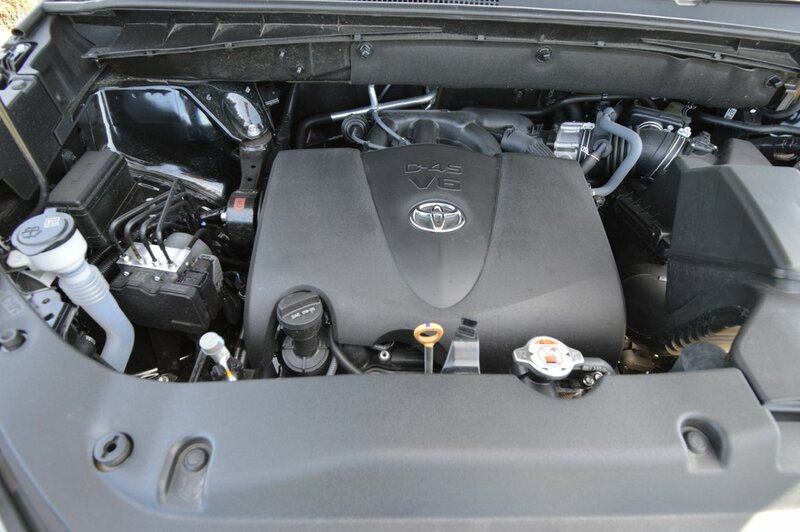 Engine output also jumps in terms of torque, from the previous rating of 248lb.-ft. to 263lb.-ft. for 2018. While an extra 15lb.-ft. of torque may not seem like much of an improvement, you will instantly notice the welcome addition when you toe into the throttle when merging with freeway traffic. 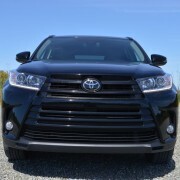 The V6 Highlander will reach prevailing fast lane speed without breaking a sweat. 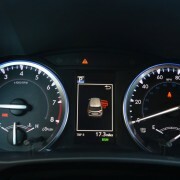 And if you plan to tow a trailer, this new powertrain is capable of handling a 5000 pound load. Spacious and useful describe the cabin accommodations here. The easily reconfigurable three row interior layout, occupying a stretched wheelbase of 110 inches, offers a wide combination of seating arrangements. 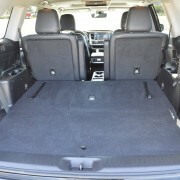 Toyota fitted our test Highlander with captain’s chairs in the second row, and a folding bench seat in the third row. 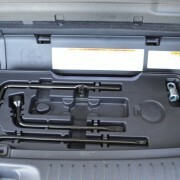 This combination allows seating for 7, with a smidgeon of trunk storage available behind the third row bench. Seating for up to 8 is available if you opt for a second row bench instead of the captain’s chair combo. 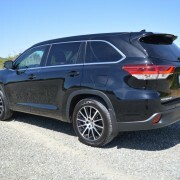 Our test SUV’s only option package consisted of an $1,810 Blu-Ray DVD Entertainment System catering to occupants of the less supportive chairs in Row 2. The system included a 9 inch display screen, RCA jacks, a wireless remote and two pairs of wireless headphones. 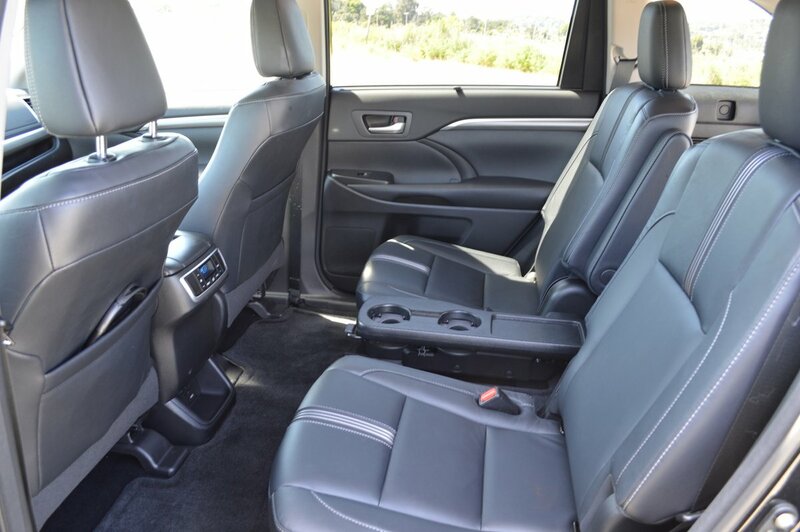 Front seat occupants can busy themselves with adjusting the temperature setting on their heated leather chairs, while attending to various entertainment functions on the 8 inch center touchscreen panel, which controls CD/MP3/USB/AUX/USB/SXM functions. 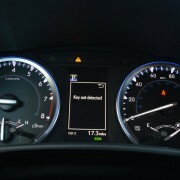 With that array of inputs available to distract you from the chore of driving, it’s no wonder designers are working so feverishly to perfect the self-driving car. 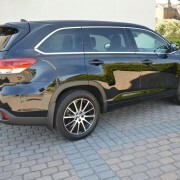 But if you still enjoy driving on your own terms, the Highlander does a very decent job of complying with your steering, throttle and handling commands. This 70 inch tall, somewhat ungainly 191 inch long family hauler handles surprisingly well when you click your spurs on a back road. 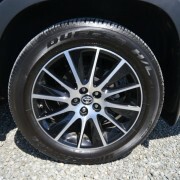 Attribute the Highlander’s traction stability to what Toyota labels “Dynamic Torque Control” all-wheel-drive, abetted by Bridgestone Dueler H/T tires (245/55R19) at all four corners. A treadwear rating of TW 640 promises decent longevity for these expensive Bridgestones. 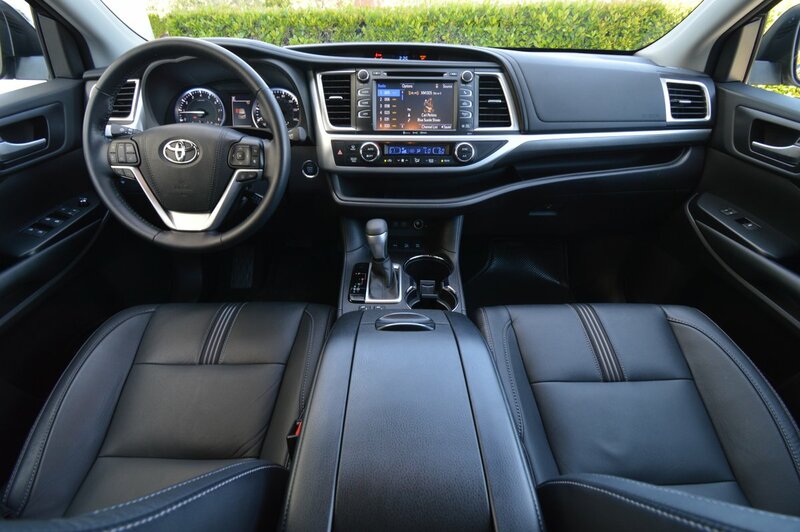 Steering feedback is informative and precise, and though the steering wheel lacks paddle shifters, you can perform the same gear dance with the console shift by engaging the manual override gate provided by Toyota. And congratulations to the designers of the gear shift gate here, who have maintained the age-old standard PRNDL shift pattern instead of concocting one of those ridiculously confusing new shift patterns up-market manufacturers feel obligated to offer these days. 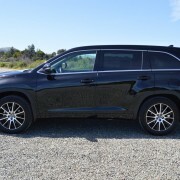 With its bargain base price of just $41,550, the SE V6 AWD version of the Highlander constitutes affordable housing for the road. 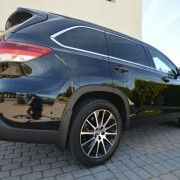 In large measure, the bargain appeal of this eminently useful SUV is spurring monthly sales records for this model. 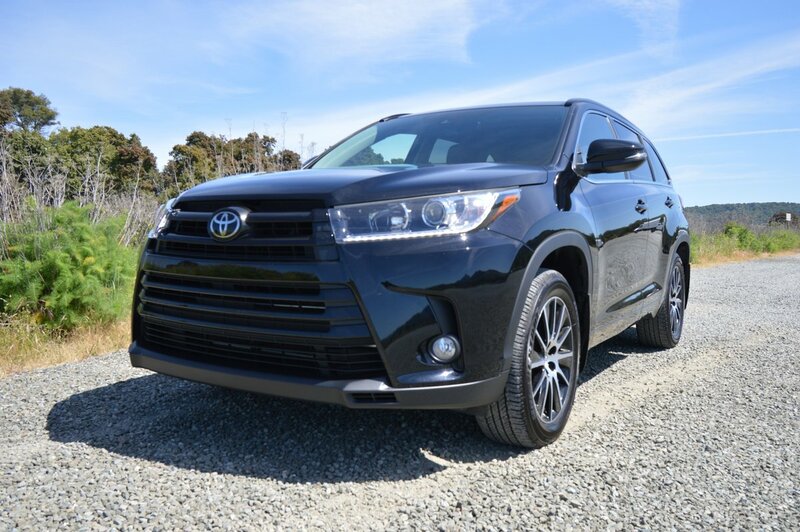 In March, 2018, for example, Toyota sold more Highlanders than ever before, with 21,438 new ones hitting the road to cap the company’s best ever first quarter for Highlander. What accounts for its popularity? It’s the major features, like 40.5 cubic feet of storage space, 295hp, excellent gas mileage and stable handling. 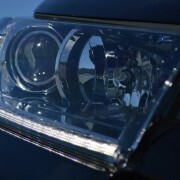 But it’s also the little stuff that causes the Highlander to fly off dealer lots. 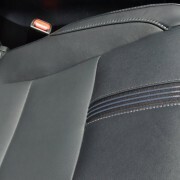 Like the huge roll-top storage bin between the front seats that will swallow a six pack of drinks all at once. Or the brilliant addition of a shelf across the face of the dash with enough vertical space to store all manner of electrical equipment. 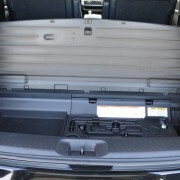 Toyota designers even had the foresight to fit the shelf with removable plugs to pass cords through for access to USB ports. 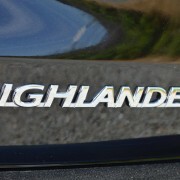 The Highlander offers no less than 5 of these ports. 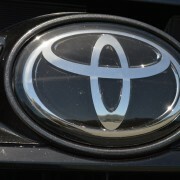 This mainstream Toyota is the Judge Judy of the SUV world. You don’t keep it because it’s gorgeous, you keep it because it’s smart. 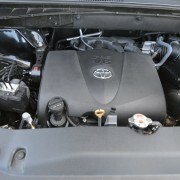 2007 Scion tC Review – OMG! So sik. Luvz it!